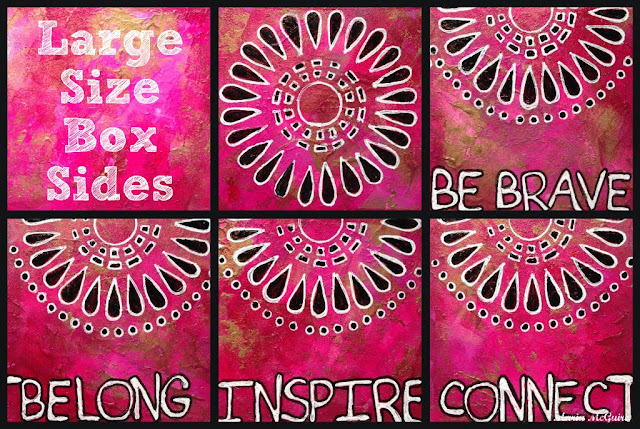 Welcome to the StencilGirl and Artist Trading Blocks Blog Hop! If you are following on the hop trail, you have made to the end of the hop!!! If your just visiting and want to join in the fun, there is a hop list at the end of the post to start you back at the beginning. As you have seen from all the other stops on the hop, there are SO many creative ways to use these blocks! I decided to keep my blocks simple and just basically use the blocks like I would in my art journal. I started with 3 colors of paint and painted the blocks inside and out. The rest was pretty easy and FUN! I took my stencils, markers and pens and did the designs. Here are some detail shots of the sides of the boxes. You know what I think one of the most fun parts about these blocks are??? The 3 sizes all nestle and fit perfectly within eachother! What a FUN gift that would be!! Make sure you check out their new site The Artists on the Block for even more inspiration! Thanks Eileen for designing such a fun product and to get us thinking about a different way to journal! Before you go.....make sure you leave a comment below to be eligible for the prize we have over at StencilGirl Talk. 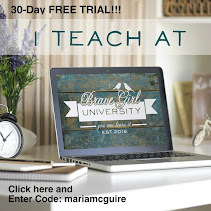 I'm also giving away a separate prize here on my blog! Four 4" x 4" stencils from StencilGirl Products! Our choice please. One comment per person. Giveaway will close on Friday, December 13th @ 11:59PM. Maria, your blocks are so cool! Love that pink and gold combo and am totally going to borrow that :-) Your choice of words appeal to me and like the idea of journaling on blocks instead of in an album. So glad you noticed that they nest- I never remember to tell people that :-) Thanks so much for the amazing project and for all of your work in arranging the hop! You rock! Fabulous ATB's, thanks for sharing! This looks like fun, fun, fun and I love stencils!!! Love your creation!!!!! Simply devine! had a lot of fun checking out all the blogs on this hop. Glorious colours with the bold graphics of the stencils - wow! What a fabulous hop from beginning to end... thanks to all involved. I adore your tower of reds and pen work over stencils! I feel so happy when I look at your tower! Wow, wow, wow, I *adore* how your stencils designs really 'pop' off the background. Gorgeous. Love the colors in the background, The words on the boxes gives the feel of a gift of the thought inside. Love the color you used. The stencils just pop! These blocks are anything BUT simple the colors and stencils you chose pack a lunch filled with "wow factor". The stitch a doily looks amazing in black with the white outlining. 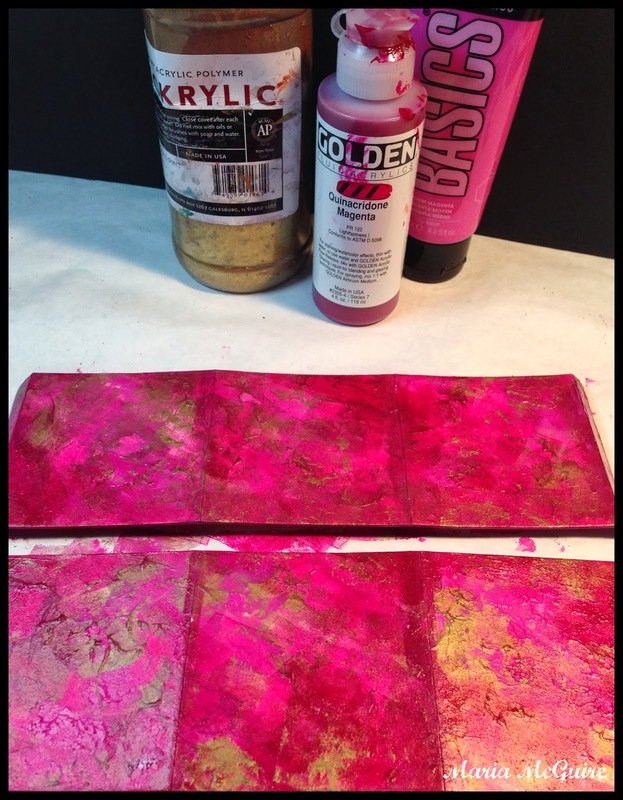 The magenta paint is a fantastic color choice to offset the black and white design with lovely flecks of gold. Thanks so much for rocking the block and the hop! PS seeing that paint in the background brought back Art is You memories and made me chuckle. I used the very same paint in my Michael DeMeng class. I thought he was going to have a stroke when he saw me painting not just a Unicorn with rainbow hair but a PINK one...lol! Oh Maria.. your contrast of colors is wowie. Great hop and loved seeing everyone's creations. Very nice box! I love the color combo and the lettering! Very cool! Thank you for sharing! Love your color combination with the text and stitch a doily stencil! Beautiful, Maria! Oh, Maria, these are so bright and bold... love 'em! love your page,thank you for the chance to win! love your page..
Oh, Maria, you really rocked this one, girl! The colors and detail are stunning! LOVE it! Love these ATBs! Thanks for the chance to win! Great colors Maria! I'd love to win so I could create something similar! Love the words you used, too. Thanks for sharing! These are very vibrant. Love the color and touch of gold. Your words are amazing. Thanks for sharing your ideas and a chance to win. Love the bold color of these blocks. Bold blocks deserve the bold colors and designs. Great job. Can't wait to play with this. Love the colors and design. Thanks for sharing. The boxes and bold and bright. Love them. Can't wait to try out this new form of expression. I'd love to win the stencil you are giving away. I'll need it to decorate my first box. 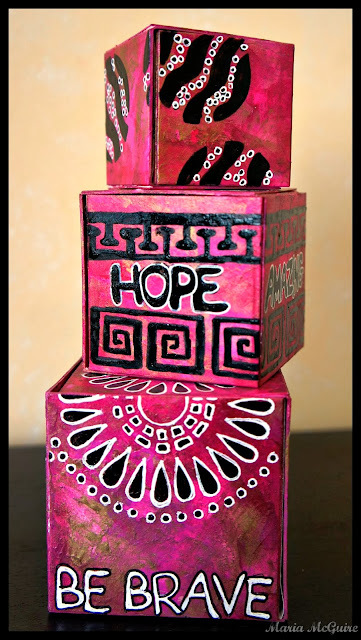 Love your stencil and blocks...love the gold on the pink combo! Such happy brave colors, Maria! 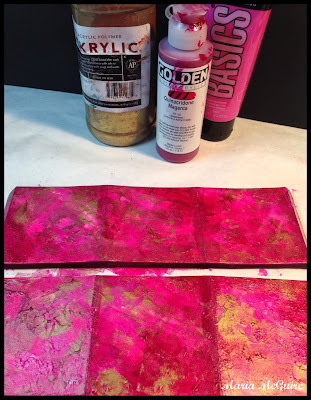 Since I also love to art journal, your approach to these ATBs is right up my alley! So vibrant and full of energy! Such gorgeously rich colours Maria! Your stencil choice goes perfect with your colours on these blocks,my opinion of course! heehee Really beautiful! Thank you! Beautiful Maria. I love how the black and white just pop with that fabulous fushia! Love how they all pop! Beautiful. This project is so bold and so fun! Awesome! Wow.... gorgeous!!! The black and white designs on rich color is wonderful and I love the bit of gold peeking through! I love how you decorated the block!!! The gold is just the perfect amount and of course the words are so empowering!!! Very nice job. I like the colors you chose. This is a great colorway. Love what you have done with the blocks and i am looking forward to playing with it too, eve n if i don't win. These are wonderful! Your colors are gorgeous! What an exciting hop this is. I'm getting so many ideas! Amazing--love the colors! Thank you for doing an additional giveaway. This has been so inspirational. 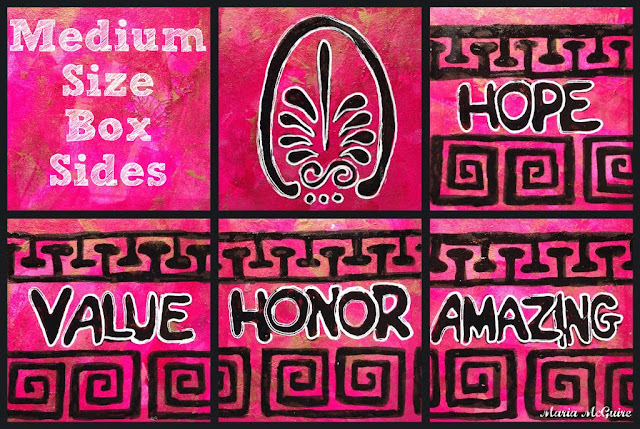 I love your vivid and beautiful blocks! Saaweeeet! Love your colors! What a fun hop! I just love these stunning blocks, Maria. 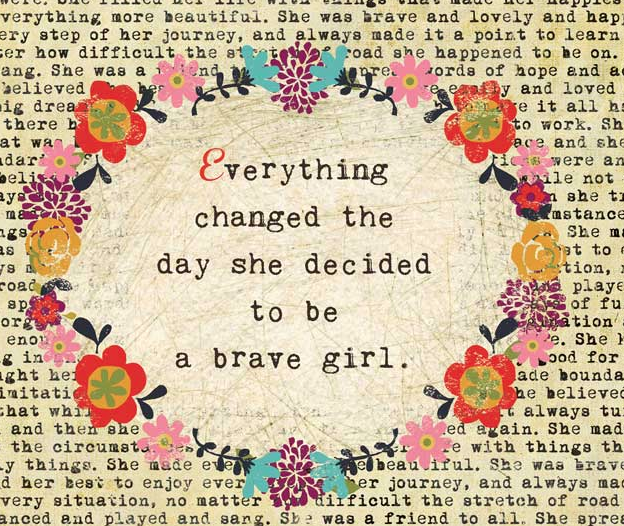 So beautiful and inspiring! This blog hop has been such an inspirational experience, thank you so much for creating your beautiful and colourful blocks. I can't wait to have the opportunity to make some of these ATBs! I can't wait to have this die. Great job on the colors, Maria. I have had so much fun hopping through all the creativity! Would love the chance to win and see what blocks I may create. Thank you for the opportunity. 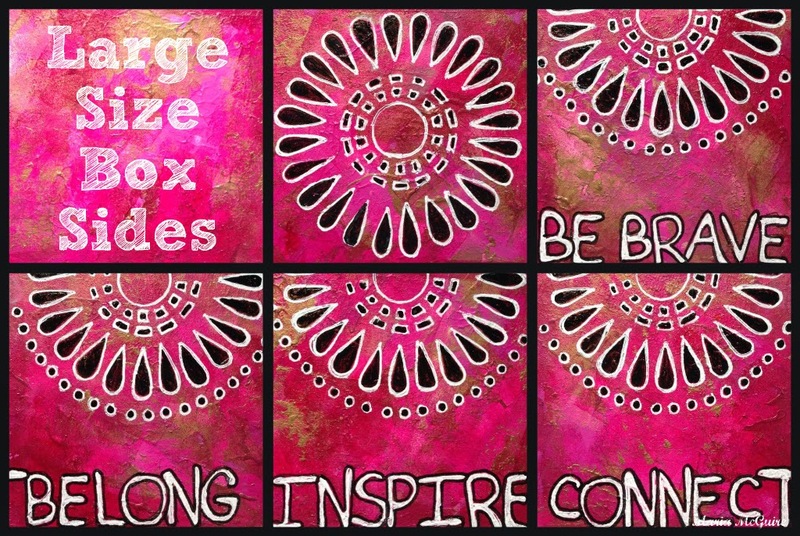 Very cool inspiring blocks! I like the idea that they all fit together as well. How fun to make a set. Happy Blocking! Maria.... pink, my favorite color! These blocks are amazing. I love your simple design and the use of pink and gold....perfect. Thanks for the chance. great color choice for these stencils. Pink, my favorite color! Dresses, touches the girly me, Love it! Love your blocks and the inspiring words/messages on them. This has been a really fun hop!